A week-long training course on food composition for the Oceania region was held at the University of NSW earlier this year. The course, run by the ARC Training Centre for Advanced Technologies in Food Manufacture, brought together food analysts, database compilers, food regulators, academics and epidemiologists from Australia, New Zealand and the Pacific (Papua New Guinea and Vanuatu). The course also attracted participants from other developing countries such as Vietnam, Indonesia, The Philippines and Malawi. 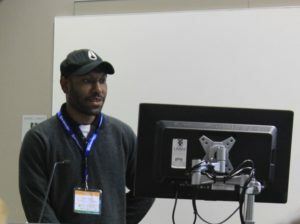 The Crawford Fund provided a fellowship for a candidate to attend the course from Papua New Guinea—Lewis Taku, a chemist from the PNG National Agricultural Research Institute (NARI) Chemistry Lab. The training will now be used by Lewis and staff in his NARI laboratory in areas of data collection, and the evaluation of crops and new feed formulations. “We are hoping to work alongside relevant entities both in Australia and PNG to develop a national food composition database for our country,” said Lewis (pictured right). “This may be beneficial to both countries in trade through exporting and importing of local produce”. The overall aim of the training was to learn more about the production, quality and evaluation of food composition data. Participants had group activities and tours, and were given specialist lectures on: how food composition data is generated for various users; and how industries approach food composition for labelling and production of high quality data on nutrient content. the use of food composition databases in epidemiology and public health research. This training course emphasised the need for better quality data in nutrition, and the use of such data for assessing the nutritional quality of foods. This would aid better monitoring of dietary intakes, food supplies and labelling of processed foods. 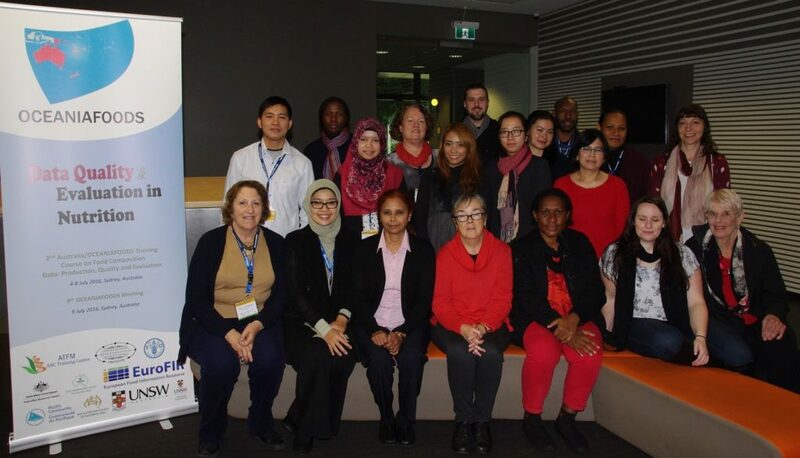 The course was supported by the International Network of Food Data Systems (INFOODS), FAO; EuroFIR (European Food Information Resource Network); School of Chemical Engineering, UNSW; and the South Pacific Community (SPC). The Course Directors were Associate Professor Jayashree Arcot and Adjunct Professor Heather Greenfield.